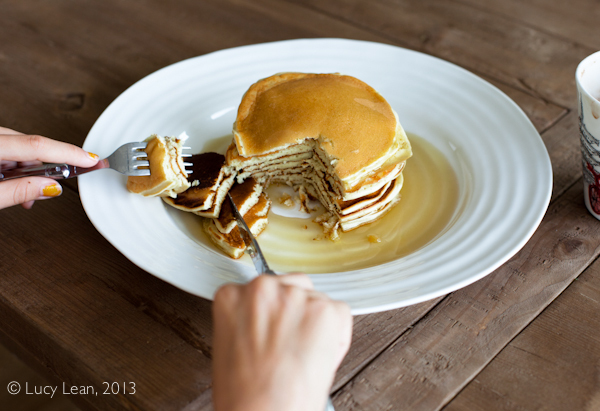 Tomorrow is Shrove Tuesday – or Pancake Day and so this calls for one thing – PANCAKES! Time to use up all the good things in the pantry on Fat Tuesday, Mardi Gras, and start thinking about what to give up for lent… actually I’d rather take something up but more on that another time… back to that glorious stack of pancakes and the best recipe for perfect pancakes every time. This recipe came about a few years back when Minty asked for pancakes – and specifically a stack rather than crêpes. I set about making the usual recipe only to realize Rémy had used all the milk making himself hot chocolate. I have substituted with cream, which I had, but I also had a bowl of Chantilly cream (whipped cream), left over from Sunday lunch. 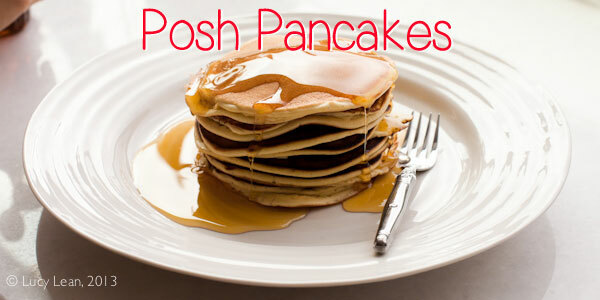 I decided to give that a go and I’m so glad I did – these pancakes are a more decadent posh pancake made using whipped cream. 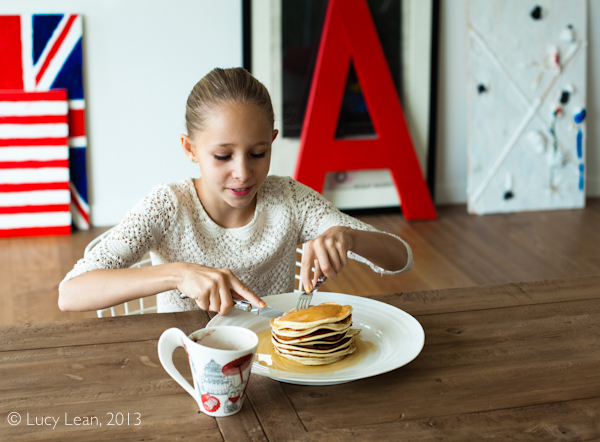 The pancakes were light a fluffy and Minty declared them the best she’d ever tasted. Another way to improve on the flavor is to use self-rising flour (or as we Brits like to say self-raising). Rather than adding baking powder and soda to all-purpose flour it’s already done. 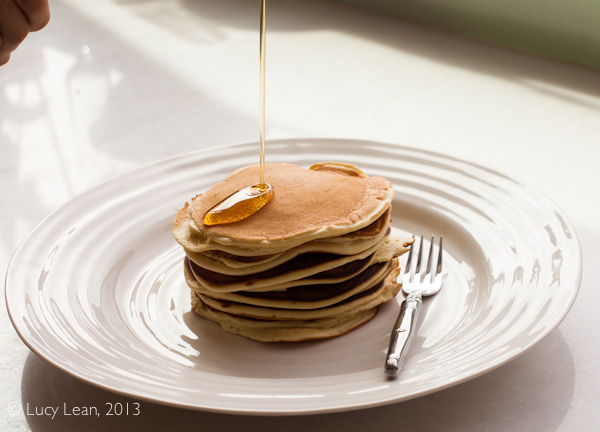 I like White Lily’s Self Rising flour – it’s extremely fine and the pancakes puff up perfectly and best of all there’s none of the after taste you get with adding the baking powder and soda in to the batter. The downside of self-rising flour is that if you let it get old it looses it’s rising powers – so get baking – it’s great for cakes of all types! 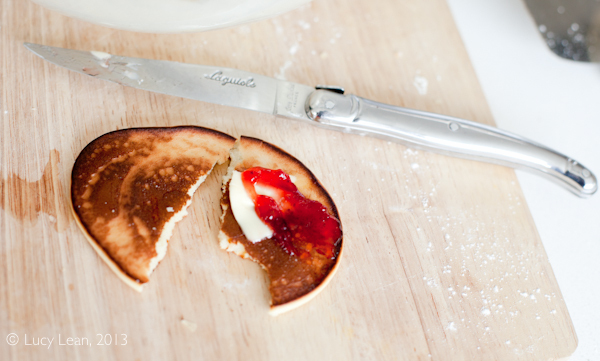 I had a Proustian moment when I took a tiny pancake – made using the last spoonful of batter – and added a little butter and strawberry jam – turning it into a drop scone. I was whisked back to my boarding school days when Amy Moore and I made a huge batch on the Aga at her house in Bristol on one of the rare occasions we were let out for a weekend visit with her mother Jane and stepfather Alec. 1. 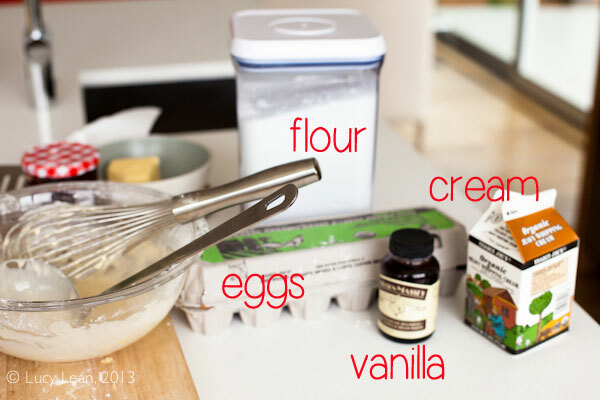 In a large mixing bowl mix together the flour and eggs using a large whisk. 2. Fold in the whipped cream, being careful not to over mix and then add the vanilla paste. 3. Heat a non-stick pan over medium heat and using a ladle add a small amount of batter – just enough to make a pancake about 3-4 inches in diameter. 4. 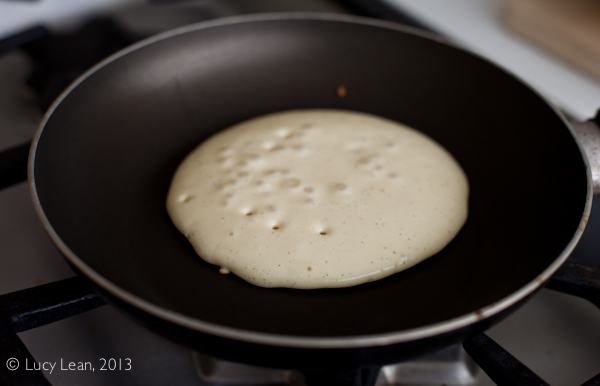 Wait until bubbles appear on the surface of the pancake and the bottom is golden brown and then flip. Cook for a couple more minutes until golden brown on both sides. 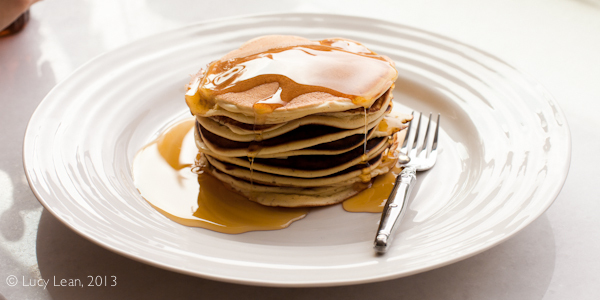 Transfer to a plate and continue cooking the rest of the batter in this way – setting the cooked pancakes aside in a growing stack. 5. 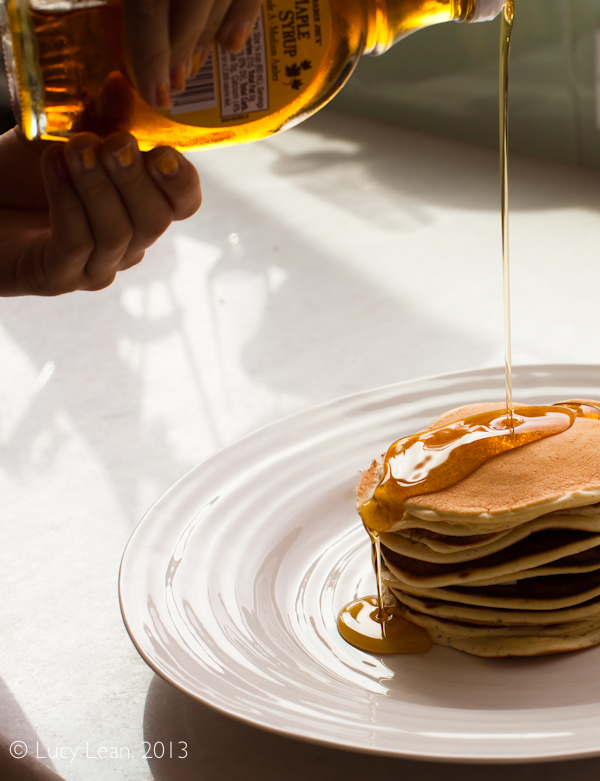 When all the batter is cooked pour maple syrup over the entire stack and serve. Not sure where my invitation was for this breakfast. Yummm. I will try this instead of my BOX next time.